FOX Global Express is a fast growing courier service, your package is delivered 7 days a week. Even at night we are available for an urgent assignment! Does your package have to be transported quickly and safely? 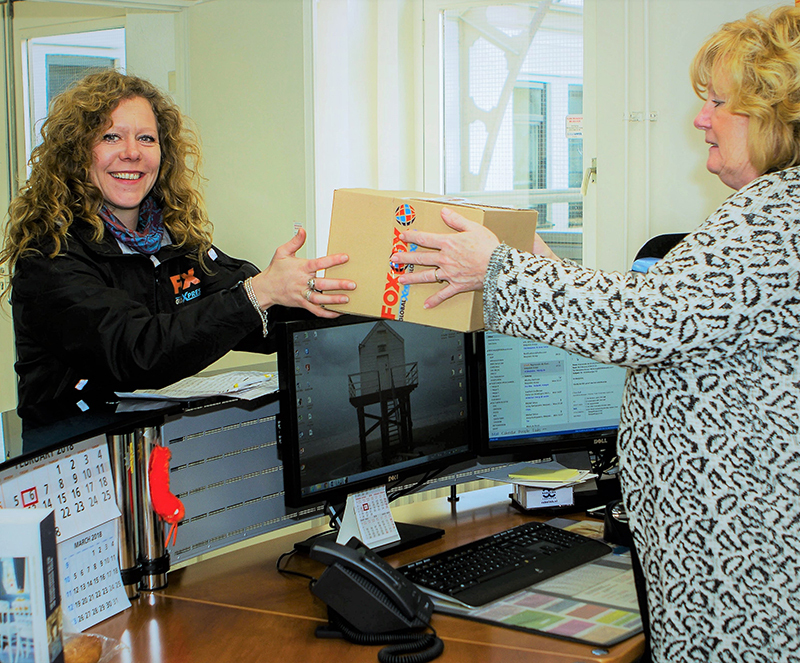 Our courier picks up your item personally and brings it to your customer or relationship the same day. Of course, your assignment is easy to follow online via our portal. This way the receiver never has to wait unnecessarily. We have 18 vans driving around with reliable drivers daily. Our friendly couriers understand that your customer is king. We therefore take responsibility for your shipment, which we transport quickly and without damage. We deliver before the deadline, om the Netherlands but also abroad. Do you have an offer, tender or fragile shipment that needs to be delivered in time? FOX Global Express will take care of it like it’s her baby. Also for packages or pallets, you are at the right address. We are a partner in an (inter)national network, where trust is our first principal. Our specialists take care of your shipment with a proactive attitude. Assignments can be given via the internet or by phone. Of course you can trace your shipments via our Track & Trace portal.